Although more studies are investigating vitamin D in dogs, much of the published research is based on comparisons with human medicine. The authors of a recent article review the current state of knowledge about the nutrient’s role in canine health and provide suggestions for future research. Vitamin D’s role in calcium and phosphorus regulation is well understood in a variety of species; however, recent human-based research suggests that vitamin D plays an even larger role in multiple aspects of extraskeletal health, including disease risk reduction, treatment efficacy, and disease prognosis. Several countries, including the United States and Canada, now mandate vitamin D fortification of certain human foods (such as dairy milk) to address vitamin D deficiency. The 2 forms of vitamin D—ergocalciferol (D2) and cholecalciferol (D3)—are created by plants and the skin, respectively, in response to ultraviolet (UV) light exposure. It is believed that dogs acquire most of their vitamin D through diet, with UV-mediated production in the skin serving an insignificant role. The relative efficiency of dietary vitamin D2 versus D3 absorption in dogs is unknown. Vitamin D is stored in adipose and muscle tissues, and cytochrome P450 enzymes convert vitamin D to 25-hydroxyvitamin D (25[OH])D) in the liver. As one of the most stable vitamin D metabolites, with a long half-life of 10 to 21 days, 25(OH)D is commonly measured in humans and animals as a marker of vitamin D status and its association with disease. It is also the precursor to 1,25-dihydroxyvitamin D (1,25[OH]2D), the most biologically active vitamin D metabolite. Despite performing important roles, including control of the body’s calcium and phosphorus levels, 1,25(OH)2D is a less reliable marker of vitamin D status due to its short half-life and is thus measured less frequently. As researchers work to develop human vitamin D intake recommendations with greater confidence, it is becoming clear that a one-size-fits-all approach excludes important factors, including age and genetics. Similarly, the canine dietary vitamin D intake requirements set by the National Research Council (NRC), American Association of Feed Control Officials (AAFCO), and European Pet Food Industry Federation (FEDIAF) indicate a broad acceptable range for adult dogs, although safe upper limits for maintenance, growth, gestation, and lactation are not clearly defined. All 3 organizations specify vitamin D as an essential dietary nutrient for dogs; the NRC lists the minimum adequate intake for dogs receiving purified diets, while AAFCO and FEDIAF published minimum recommended allowances for dogs fed commercial pet foods. Minimum requirements are chosen based on published studies; however, studies often fail to provide vitamin D content and energy density information for the basal diets of participants. Because AAFCO and FEDIAF guidelines list a wide range of recommended intake in the canine diet, the actual amount of added vitamin D in a specific food depends largely on manufacturer choice and often does not account for endogenous vitamin D content of ingredients. Also, homemade diets are at high risk of being vitamin D deficient. 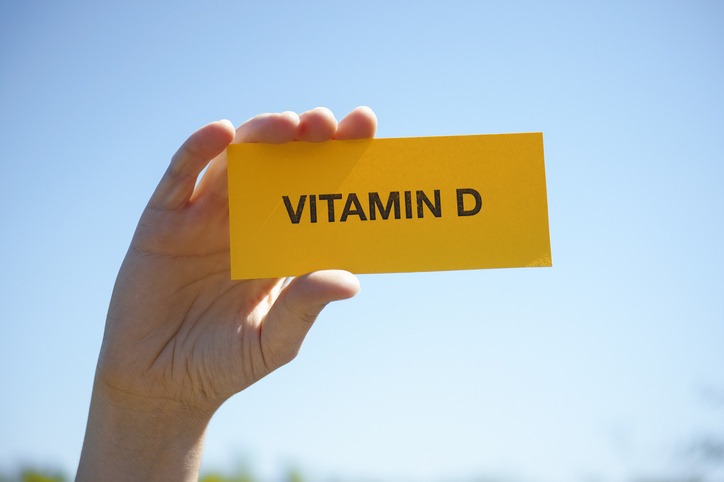 Research has revealed a correlation between vitamin D status and a variety of human health issues. While much less is known about vitamin D–associated disease in dogs, several links being investigated often show striking similarities to human diseases. Vitamin D is a known contributor to bone health due to its relationship with calcium and phosphorus acquisition. Study findings have demonstrated osteomalacia (rickets) in puppies fed a diet lacking supplemental vitamin D, even when participants were exposed to UVB light. At the opposite extreme, puppies fed more than 10 times the AAFCO maximum recommended amount experienced impaired endochondral ossification. Chronic kidney disease (CKD) and concurrent hyperparathyroidism in humans are linked to impaired vitamin D metabolism because the metabolite 1,25(OH)2D is produced in the kidneys. Similarly, dogs with CKD may show decreased blood and serum 25(OH)D concentrations, which continue to decrease as CKD increases in severity. As a result, dietary vitamin D supplementation is a component of CKD treatment in both humans and dogs. Human patients with inflammatory bowel disease (IBD) often have low vitamin D status, and canine research shows that serum 25(OH)D is significantly lower in dogs with protein-losing enteropathies compared with healthy dogs and those affected by IBD alone. Vitamin D may play a role in human cardiovascular disease, with evidence suggesting that increasing plasma 25(OH)D levels correspond with decreased cardiovascular disease risk. Similarly, suboptimal serum 25(OH)D levels in dogs have been associated with congestive heart failure, cardiac remodeling, severe cardiovascular disease, and increased risk of cardiovascular events. In humans, increased cancer risk is linked to low vitamin D intake and blood 25(OH)D concentrations. Also, 1,25(OH)2D demonstrates a variety of anticancer activities in both humans and dogs, such as inducing apoptosis and reducing cancer cell growth. Canine osteosarcoma and mast cell tumor tissues possess vitamin D receptors, and decreased vitamin D status and/ or serum 25(OH)D is associated with additional canine cancers, including neoplastic spirocercosis and lymphoma.